We recommend that you try the trial version of Tether It first before buying the premium version. 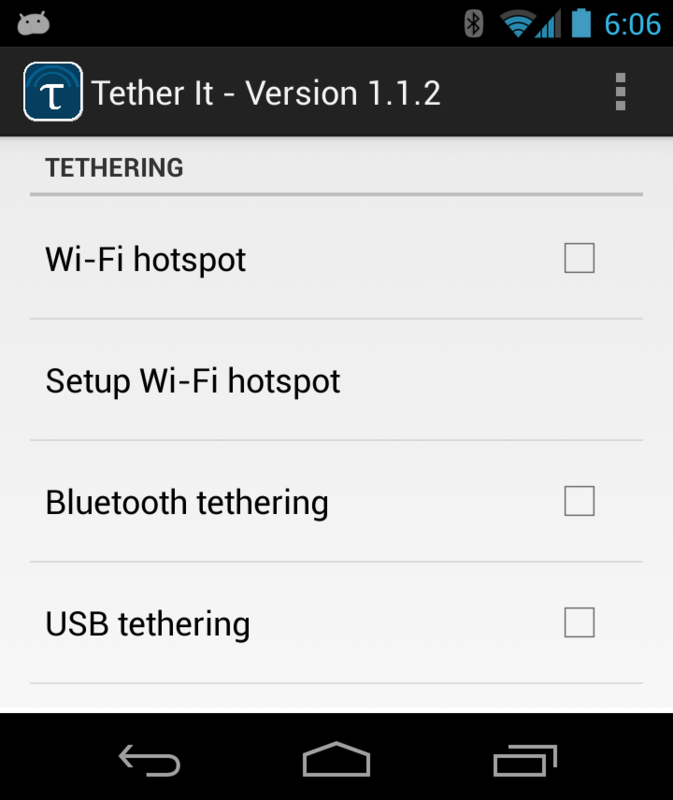 WiFi tethering mode may not work on all smart-phones and/or every carrier. Some phone updates may also break WiFi mode. Please install the trial version first and make sure it works to your satisfaction. We do not provide any warranty due to many things we cannot control. Carriers have been finding ways to interfere with unpaid tether usage (such as through system updates).